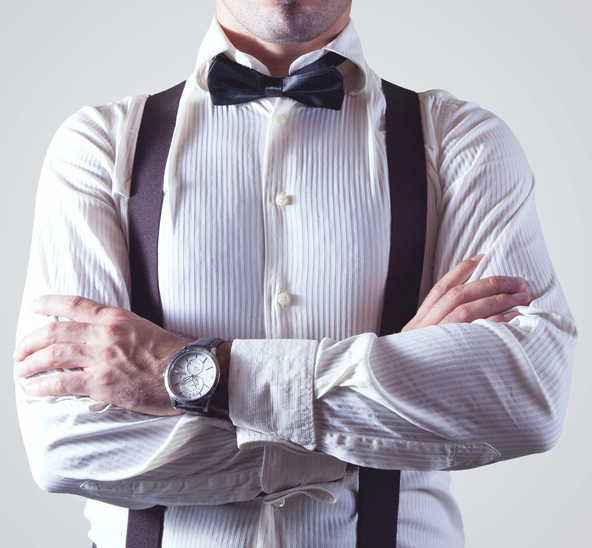 The business traveller in South Africa has a vast choice of luxury accommodation and exclusive hotel services. 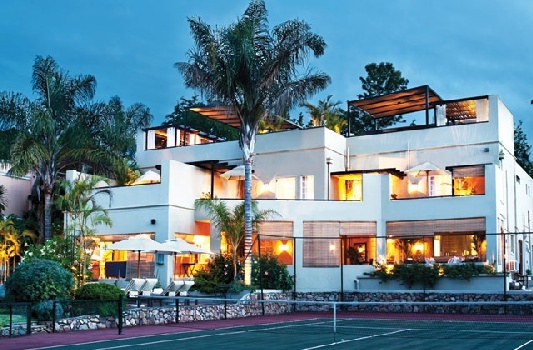 Large, business-oriented hotels, first-rate suburban boutique establishments, and select apartments are among the luxury accommodation options for high-end executive travellers in South Africa. 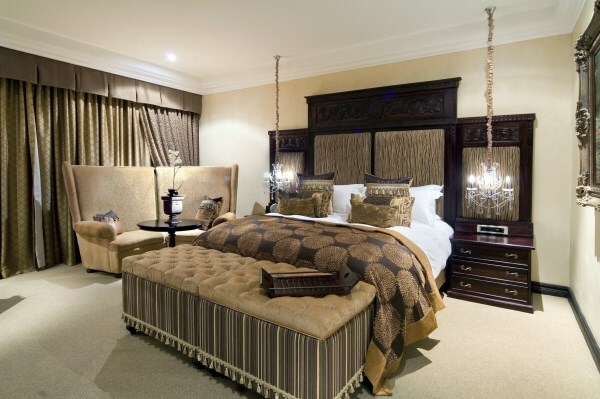 A gracious beauty, Fairlawns Boutique Hotel & Spa is an all-suite establishment of supreme comfort for executives in Sandton. 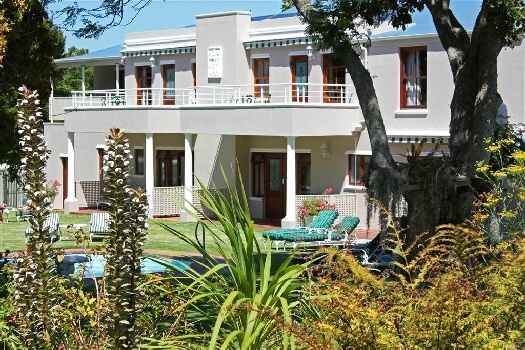 Set on a vast park-like estate in Morningside, it’s an exquisite sanctuary providing top-notch accommodation, gourmet dining and small-meeting facilities. Desks and communication facilities are standard in all the suites. The cherry on the top is the Presidential Suite – a huge European-style villa with all you need to feel thoroughly pampered. The serene Balinese Spa is just the place to counterbalance the business action of the day. Mail us. 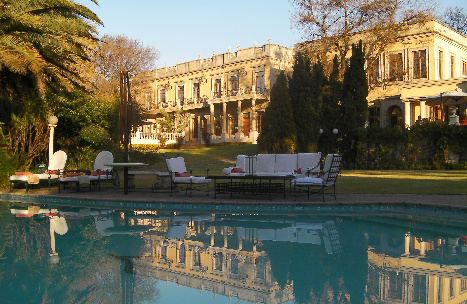 Another Johannesburg recommendation is The Residence, a chic boutique hotel in Houghton. Enjoy the privacy of a stylish suite, complete with balcony and outdoor shower, bath or Jacuzzi. Contemplate the skyline of Johannesburg from Sky Bar, sundowner in hand, and intersperse your business activities with tennis or gym on site. Mail us. Need to stay in Polokwane for business? Lavish and extravagant, Fusion Hotel has French Bordeaux-style rooms, sumptuous leisure areas and plush conference venues. Fine-dine in-house at Saskia. Mail us. 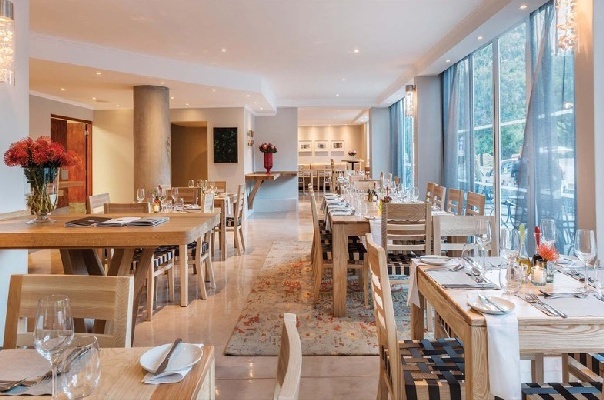 A wonderfully upmarket place for business travellers in Cape Town is Cape Town Hollow. Situated in beautiful Queen Victoria Street, it rubs shoulders with prime historic buildings and is right opposite the inner-city green space of the Company’s Garden. The CBD is a very short walk away, and the popular eateries of Kloof Street nearby. Hotel views extend to Table Mountain and Lion’s Head. Other features are modern rooms with small balconies and wi-fi; conference facilities and business lounge, also with wi-fi. You may like to make use of the 24-hour shuttle service in and around the city. Mail us. 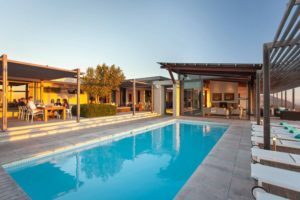 If you prefer something more secluded in the suburbs of Cape Town, Glen Avon Lodge is a charming possibility. It’s tucked away in the wine-growing valley of Constantia, yet it’s just 20 minutes away from the city by car. Luxury rooms provide quietude and comfort (and wi-fi), and the gardens are a space of serenity to counteract the activity of the business day. Mail us. In Durban Quarters on Avondale and Quarters Hotel Florida Road offer fine accommodation for execs. 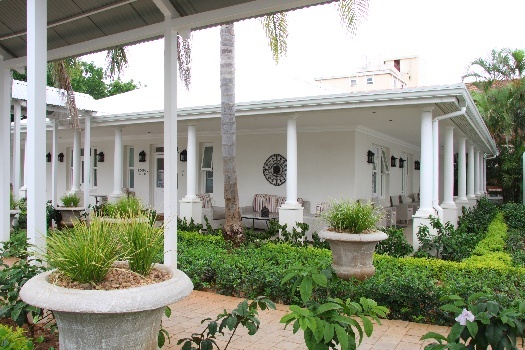 An Edwardian classic, 4-star Quarters on Avondale’s rooms are situated around a garden courtyard and period furnished. 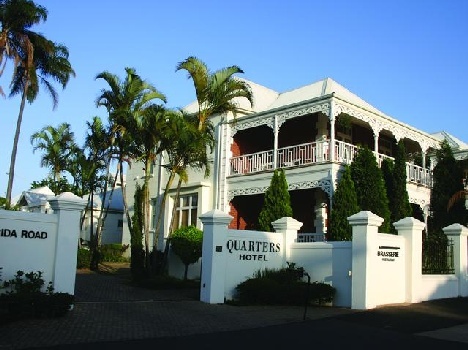 Quarters Hotel Florida Road is a Victorian-style boutique hotel close to the main business hub. A boardroom on site can accommodate small meetings. Mail us. 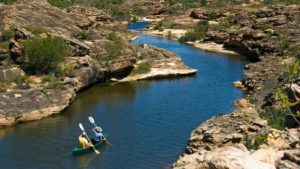 Mail us for business getaway accommodation arrangements, or call +27 21 797-7122.